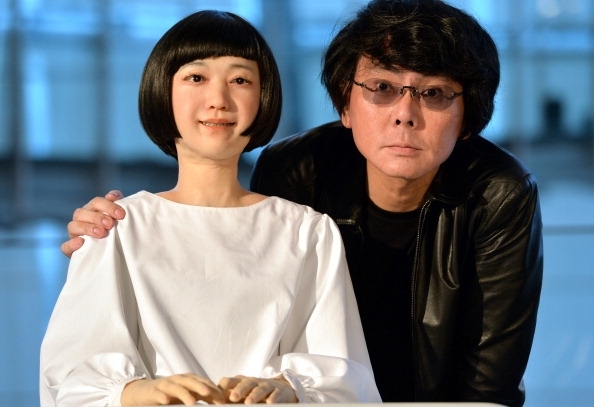 Hiroshi Ishiguro, professor at Osaka University, spoke about human-like androids at SXSW. If some possible usages were about learning languages and entertaining kids, a fair share can be seen as interesting marketing insights. Ishiguro’s university laboratory got to test androids in real life situations, including retail. The main take-away being: a robot sells more than a person, because male shoppers don’t feel pressured. He relates it to cultural traits of Japanese males. They dislike talking to the staff, because they feel like it’s admitting they’re looking to buy something. There’s a challenge for retailers and advertisers to engage the consumer without an over-sell. Technology, from androids to augmented reality, definitely offers some solutions to do just that. With the initial successes, Ishiguro says that talking to a robot could become mainstream in a few years. Considering we adopted a winking paper clip, and quickly got used to talking to our phones, that doesn’t sound unreasonable.